QUETTA: At least two Pakistanis were killed and five others were arrested when Iran’s border security forces acted against a group of people allegedly trying to enter the country illegally. According to security officials present on the border, on April 12 a group of 15 people belonging to different cities of Pakistan tried to illegally enter Iran. The Iranian Border Force fired on the people who crossed the border, killing two. Iranian force then arrested five people, while the remaining eight disappeared after crossing the border. According to reports, Iranian authorities have handed over the bodies and arrested people to Pakistan levies force. Levies officials shifted the bodies to the District Headquarters Hospital Gwadar. The deceased were identified as Shahzeb Khan Wali, 27, and Omar Sadiq, 27, both belonging to Bannu. Those who were arrested were also moved to Gwadar. The arrested included Wahid Khan, Shah Fayyaz Khan and Saifullah Khan from Khyber-Pakhtunkhwa, Muhammad Sagar belonging to Karachi and Muhammad Maqam from Jhang. This is the second incident in a month involving Pakistanis trying to illegally enter Iran. In March two Pakistani youth, who were illegally going to Turkey to travel from Iran, were killed by the Iranian forces. Every year thousands of people from Pakistan and Afghanistan illegally travel to Iran to find a job in Europe. Last year, 20 people from Punjab were killed by a banned organisation in Turbat after they were kidnapped. Meanwhile, Iran’s Revolutionary Guards three security personnel were killed by militants in a cross-border attack on the frontier with Pakistan on Tuesday. 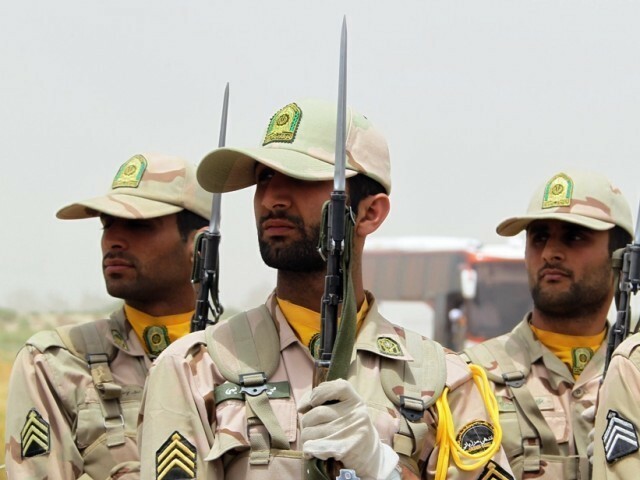 An Iranian police officer was killed in an ambush on a border post in the city of Mirjaveh in Sistan-Baluchestan province, and two soldiers died when their vehicle was hit by an improvised explosive device (IED), the Guards said. The Revolutionary Guards’ statement, posted on state media, said three people it described as terrorists were killed by Iranian security in a ‘firm and timely response’.